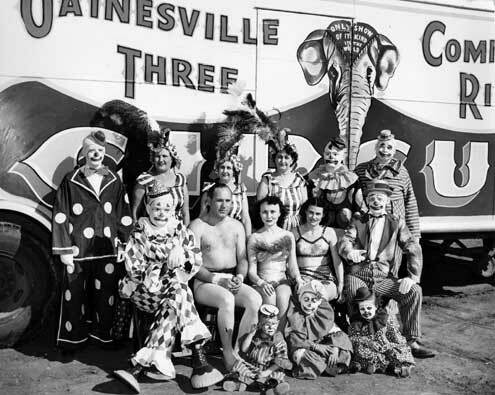 One of our Bizarro Blog Buddies, Eric H., sent me the pic at right, which he took in Troy, NY back around 1980. He submitted it to National Lampoon and they printed it in their "True Facts". If it's still around when I kick the cartoon bucket, I'm going to have my funeral there. 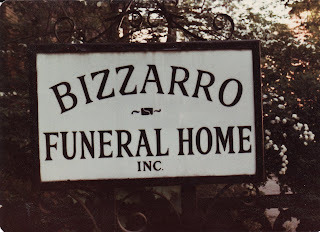 I'd probably even do that if I didn't have a cartoon by a similar name, because how do you resist a funeral home called "Bizzarro"? Unless you find one called "Dead Meat," then it would be a tossup. Oh, in case you're wondering I read it in central North Carolina's News & Observer. emikk@aol.comI love your comic too, I get the santa cruz sentinel which prints it in the format of a strip whereas the sf chronicle has it as a panel....isn't that more work? There are some professions where "Bizzarro" wouldn't be the first choice for your business. In this case, I'm glad they stuck to their guns. knowing your religious affiliation, how would you like your funeral to be conducted? i've thought about my own, and i don't know if i could deny my family a traditional sermon.. my mom's family actually had a hard time accepting her wish to be cremated, but we did have the giant, traditional catholic sermon. on another unrelated note, miss cellania of mental_floss made a list of animals who have lost limbs and have since recieved prosthetic replacements. you mentioned the goat a couple weeks ago and just thought to expand upon some reading material. cheers! Good news, this funeral home still exists. I should be up in good old Troy in a few weeks and hope to take a look and see if the sign's changed. I'll keep you posted on this late-breaking news.